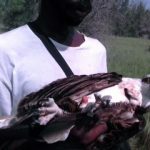 Ospreys are coming back to their wintering areas and we start having news from them in Africa! UV has reached North Senegal. On October 12 he was visiting familiar areas like the north part of the Langue de Barbarie National Park. 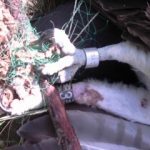 You can get more information about this Osprey in Kielder Ospreys blog, where they tell more in details the movements of the tagged Ospreys in UK. 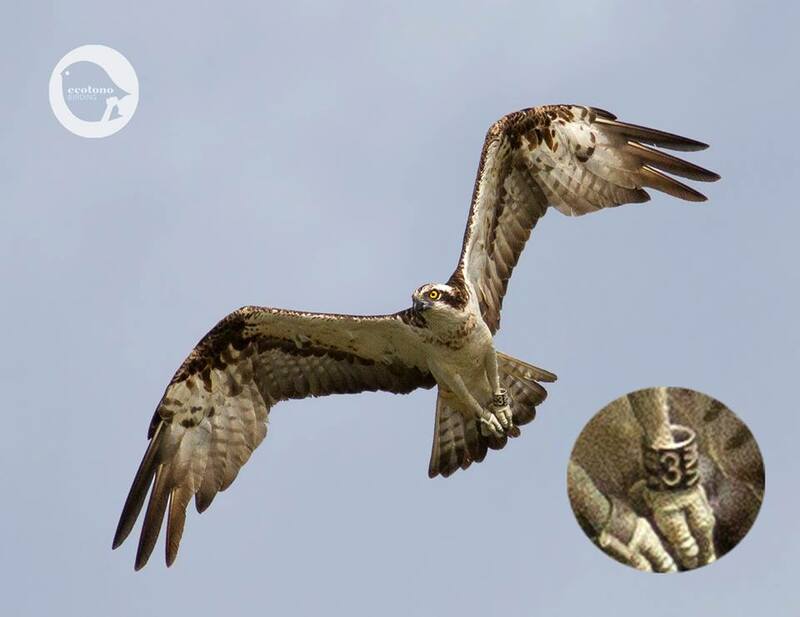 Second Osprey that we have news is VW3. It was born in Brandenburg, Germany, in 2012. We saw it several times last year in Langue de Barbarie, sometimes with great views. 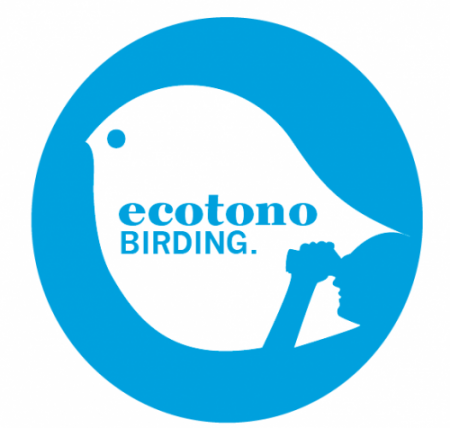 This season he is back, unfortunately on September 29 the bird had a problem with the fishing nets and was trapped on top of a tree. 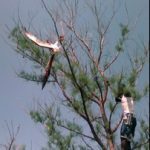 As soon as possible the rangers of the park went to rescue him from the disaster. They got a great result, they managed to climb until VW3 and release it from the nets. Fortunately VW3 wasn’t damaged at all and it was released as soon as the rangers verified that everything was ok.
Congratulate rangers of Langue de Barbarie National Park, they did a very good job with VW3 and we know they have a lot of care about the conservation of this important area for birds and nature in Senegal. Hopefully we will see UV and VW3 this winter when we will work again in the bird survey of the National Park with Tougoupeul. Pictures sent by the direction of the National Park Langue de Barbarie.